Keyword Research: Why 95% of Marketers Are Doing Wrong? Home » Blog » Keyword Research: Why 95% of Marketers Are Doing Wrong? Do you know the reason why over 95% of people fail at building successful niche websites no matter how hard they try? Do you know that the success of your websites depend on just one simple first step? If you follow some successful people like Pat Flynn, Spencer Haws, Justin and Joe, you will probably know that their niche site’s successes largely rely on just one thing : Their ability to find golden keywords. In other words: They know exactly how to do keyword research the right way. The reality is that one of the most important skills for any internet marketers or website builders for making an authority site or having success with SEO in general is KEYWORD RESEARCH. In this update of Public Niche Website Project, I will be sharing with you all the information and tactics you need to master the art of keyword research, to escape the group of failure and to start making big bucks online with your niche websites. Let’s get started! 2.1 1. Onpage SEO – The importance of relevant content. 3.1 Introducing Longtail Pro – The Best Keyword Research Tool Ever! 4 Finally, My Decision Was Made! Honestly all of these are right… and wrong. This is because a golden keyword is not made up of just any one factor. Broad Match vs Exact Match: Put it simply, go for exact match. It’s more accurate. The exact match volume is exactly the amount of searches per month of a certain keyword. This volume will show us estimatedly how much traffic we can expect when we rank for a certain keyword. I do not really look at this as my prefered monetization method isn’t Google Adsense, but this is basically an indicator of how much the traffic is worth. CPC represents how much people are willing to pay for a click for a specific keyword. It also represents how much you can make per ad click if you have Adsense ad on your website (roughly 60% of the number showed). In short, if people are paying a lot of money for a click for a certain search term, then the traffic is lucrative and can bring in a lot of money for you. A lot of people make this huge mistake by analyzing the potential traffic of a keyword based on global search instead of local search. Global search volume represents the world-wide search volume while Local search volume represents the amount of searches in the country your keyword tool is set to. Ideally we want to target traffic from the USA. There are many searches that have huge global search volume but very tiny local search volume. You have to keep in mind that countries like INDIA have massive internet users and they use English as a main language so that they can make up a high percent of global search volume. Unfortunately, these kinds of traffic are insigfinicant because they’re not willing to pay and actually their online purchasing behaviors are not as huge compared to the American. In short, Aim for high local (USA) search volume. Answer this question: Why do people search on Google? To solve an issue. Most people will instantly go for funny dog pictures because it has much higher searches which means more money according to common advice of some “so-called experts”. Would you be willing to pay $100+ to cure diabetes and live a healthier life? Yes, absolutely. This is why I’m saying that the search volume is not that important as people thought it was. You want to mainly focus on how big the problem a person is having when they search on Google. The bigger the problem, the higher chance they will spend a lot of money to fix it. Buyer keywords are keywords that include some phrases that show the interest and intent in buying things of a searcher. This is fairly simple. If a person types in “buy canon t3i”, it clearly shows that they’re looking to buy a new camera. Targeting this keyword will result in more sales. On the flip side, if someone just types in “canon t3i”, they might be looking for photos, information and some other things related canon t3i. This keyword is still great but it’s not as profitable as the first keyword. Searches like this have a high conversion rate and will result in getting you more money per visitor. Search based around the word “Valentine” will not get high search volume in the summer. Search based on events will not get a large search volume in the future. This is a common sense. Be sure to enter your keyword to Google Trends to know that whether it gets sustainable search volume for all the year or just peak on a period of time. You’ve learned what makes a good keyword, but that’s not all. It’s only the first step. Now you have to know if you can actually rank high for that keyword to get decent traffic. 1. Onpage SEO – The importance of relevant content. First and foremost, you have to look at the meta tags and the relevancy of the content on the site. Question. What is the most basic thing you do when you create an SEO site? You write relevant content and put the keyword in the title, description, headline and url. Now if a website falls to do this, what does that mean? It means they are 1) Not trying to rank for the keyword you are after or 2) not even doing SEO. It also means they’re not intentionally ranking for that keyword and you can easily beat them and get their ranking. Fortunately for you, there are thousands of keywords like that waiting for you to be uncovered :). So, the first thing you have to check is whether there are unintentional & unoptimized pages that are ranking for your targeted keywords. If so, go for it immediately! Description: This guide will show you information about viral marketing. See how the page is optimized with the keyword in the title, description and url? What we have is a page that is loosely optimized. (a.k.a weak page). It’s not aiming to rank for that keyword and can be beaten effortlessly. The reason why this type of page is ranking because it inherits the authority of the root domain. You can see this happen a lot of times with article directories, Q & A sites, forums, etc. Many people says that page rank doesn’t matter anymore. But in my opinion, it still means that Google give pages with higher PR more trust and authority than pages with lower or no PR. My rule of thumb is to make sure that none of the top 5 sites have a page rank of 3+ and at least 2 pages with Pr 0 in the top 10. You can still outrank sites with page rank of 4 or 5+ but you should only do that when you’re pretty good at SEO. But for the success of our niche websites, it’d be better to focus on low-hanging fruits keywords with page rank of 0 sites on top. You can use SEO Quake (FREE) to check PR of any site. This is another important and basic factor. The rule of thumb in basic SEO is that if a page has tons of backlinks, run away and find another keywords! I prefer to use SEO Spyglass (it’s FREE) to check backlinks and it’s by far the most accurate backlink checker available. You should also look at the amount of Refering Domain. It means how many unique domains are pointing to the page. It’s more important than amount of backlinks because if the site has 10,000 backlinks from just 10 refering domains, it’s not well-diversified and that’s a sign of a weak site as well. Other Q & A sites. It’s simple. Older sites tend to receive more trust by Google than new sites. I usually do not worry about site age unless I’m targeting ultra competitive keywords. It’s weird that no one talks about this. If you’re building niche sites or involving in internet marketing for a while, you should probably know that people prefer buying exact match domain to build sites. If the exact match domain is available, it means no one knows about that keyword and it also means no competition. – Why 95% of Marketers Are Doing Wrong Keyword Research? This is not how a SEOer builds anchor text. If you see this, it means nobody is doing SEO for this page and you can beat it. Once you learn and master the basic, it’s common that we human beings will be looking for something that can help us to get things done faster to save time and money rather than playing with manual stuff, right? I’m not an exception. After spending countless of hours doing keyword research manually with Google’s Keyword Tool and SEO Quake, I finally discovered a piece of software that help me do the boring work 5 times faster than before. I’ve been using this tool for over a year and never look back since then. 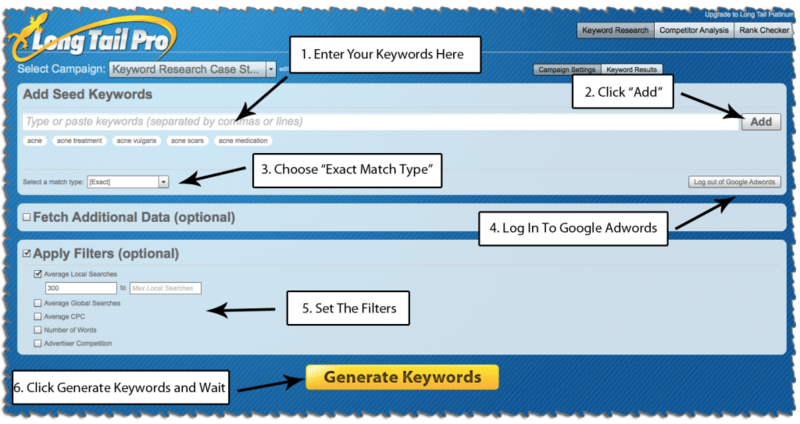 Introducing Longtail Pro – The Best Keyword Research Tool Ever! Let me show you how powerful and time saving Longtail Pro is by showing you my process of doing keyword research for my Public Niche Website Project. As you may probably know, in the last update about discovering website ideas that make money, I narrowed down my list from 18 ideas to just 3 : acne, productivity and getting fit. Today I will be using Longtail Pro to dig deep into these niches and uncover potential keywords and decide which niche I will establish my niche websites on. Let’s get started! One of the good thing that makes Longtail Pro better than many competititors out there is that it allows you to add more than 1 seed keyword at a time. This is a huge time saver! I prefer to stick with 5 seed keywords as the more keyword you enter to the tool the longer you have to wait and it may causes some crashes. To start off with the first niche, I went to http://www.soovle.com/ and entered the keyword acne in the field and clicked “Soovle”. As you can see from the picture above, Soovle combined the suggest tool for 7 (up to 15) different Search Engines and retrieved results on the fly as you type the key phrase in the search field. Now I just have to choose 5 keywords from this big list and put them into Longtail Pro as seed keywords. 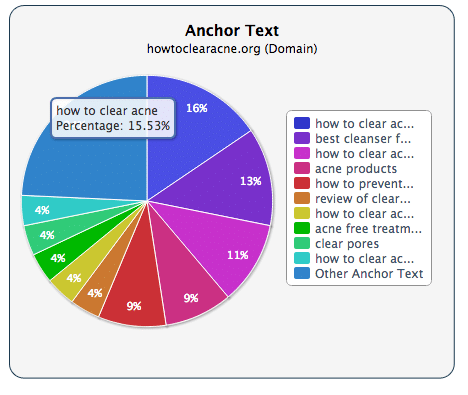 I added 5 keywords “acne”, “acne treatment”, “acne vulgaris”, “acne scars”, “acne medication”, set the “Average Local Searches” to 300 and clicked “Generate Keywords”. The reason why I chose the average local searches so low was because I was not only finding one main keywords, I also had to find other secondary keywords to add up the traffic my website might get. For my main keyword, I only pick the one with over 1000 searches per month. After clicking the “Generate Keywords” button, the software will take a few minutes to go through several hundred related keywords and provide a report for you, which you can see below. Longtail Pro has its built-in Keyword Competitiveness Checker to help you easily judge the competition of a keyword but I personally don’t like that feature because I think it would be not as accurate as using my method you’ve learned above. Maybe I will give it a try in the future but actually the subsciption of $17 per month is not something that interests me. If the site is not optimized, IT’S NOT OPTIMIZED! This is also a buyer keyword because the person who uses this term on search engines is looking for the treatments or ways to cure his/her blackheads. Perfect keyword! Why I choose this keyword? Not all pages on the first page are using the exact keyword in title & url. Yahoo answer at #10. I can ensure this: Whenever you see Yahoo Answer ranks on the first page, choose that keyword immediately! And you can see a lot of pages with backlinks less than 10 here. Actually this is the keyword I will use as the main keyword for my public niche website. So don’t steal it haha. 1 PR 0 and 2 no PR on the first page. a lot of pr 1 and 2 sites. keyword not in title and url. I pulled out these 4 examples above in around 5 minutes or so. See how easy and fast the researching process can be with the help of Longtail Pro? If you don’t have this powerful piece of software, I highly recommend you to grab it as soon as possible if you want to build a successful online business with niche websites. The software is usually priced at $97, but check out Longtail Pro now to get $20 Off ! This Special Offer Ends Soon! Finally, My Decision Was Made! After about an hour researching, I decided to skip analyzing the rest of the ideas and stick to this niche because 1) I have many experiences in treating acne 2) I believe I can make the ultimate resource for this niche and I already had the monetisation ideas in my mind right after choosing this niche as I’m using that product and feel that it’s great. I will reveal about the product and monetisation idea later. Next update will be about creating site structrure and setting up the site 🙂 Stay tuned to the next article. And remember to subscribe to keep yourself updated. I have been as detailed as possible in this article, and it may be my longest article I have ever written. I’d love to hear your thoughts on this subject. Is there any other factor that you look at to analyze the Google competition? What questions do you have in regards to this subject? Feel free to leave comments and ask me anything. Great article, I think you nailed it. Look forward to your future articles. This is a very nice guide on the subject. I really like the advice on “Buyer keywords”. Laser-focused! To be honest with you, this is one of the most comprehensive post i have read so far on the subject of KW research. Its very informative and to the point. I also love the look of your site. Question: Why don’t you monetize with adsense? You don’t like it? Thank you Theodore for your kind words! Regarding your question, actually I don’t like Adsense and after all it’s not as lucrative as affiliate commission if we master the art of monetizing traffic with affiliate marketing. You really hit all the key points here about keyword research. I especially like that you mentioned the “seasonal” aspect of this. So many people miss that important piece. You can really drive traffic with seasonal posts. I’ve managed to gain lots of traffic by staying on top of seasonal and trendy topics in one of my blogs. Absolutely great post! Really helpful, thank you very much. I was especially happy to see the reasoning behind your three keyword choices. That was really helpful. I hope to find more great posts like this on your site. Thank you. Great post! But I have a question for you. As you said ” Forget about anything else like PR, domain age, backlinks, etc. Remember this fact: If the site is not optimized, IT’S NOT OPTIMIZED! “, I agree with you. But if you find a not-optimized keyword with hundreds or thousands of backlink and very high Pr, then you will choose it? It really clears out all of the extra junk you have to pay attention to. I was under the impression that you HAD to only follow those numbers like PR, mozRank, etc. Do you think choosing primary keyword with 1000 exact local searches is a good decision? I am asking because I feel that it needs lot more efforts to rank site of keywords than ever before. So, if you are going to do active SEO anyways, isn’t it wise to go for keyword with higher searches per month to increase ROI. My intention is not to alter you. I am learning these stuff hard ways at the moment so it’s curiosity to know many things. Hope you don’t my this. Priyank, Your Indian Fan & Friend. I absolutely loved this information. Quite useful for me. Excellent post, very informative indeed. Couldn’t see a “share” button to access buying Keywords. I’ve bookmarked your site and will be back often. You are very welcome to put me on your mailing list. Hi, Tung Tran, I saw many of your post on WF and Matthew Woodward blog. Yesterday I found many autogenerated website but authority like answer, about.com, yahoo answer.. But, today I read from u, that Yahoo answer is seems like easy to rank. Thank Tung Tran,.. in the past I think Yahoo answer is a huge authority site and hard to outrank..
How to check where a webpage ranks in the Google search engine results? I have already made a big mistake by building to blog on high CPA keyword without seeing the value of it. I agree with you that most of us make mistake when blogging. For example many my targeted keywords are failed to get good position in Google. Only little keyword could get first page in Google. Thank for your sharing. Do you analyze competitor’s backlinks? How and where could we do that completely? I also like the free tool UBersuggest for finding long tail keywords. Seen your comments quite a bit on Niche Pursuits and finally came to your website. Great stuff and very practical. I’ve just subscribed to your newsletter! You just made some really good points about keyword research. 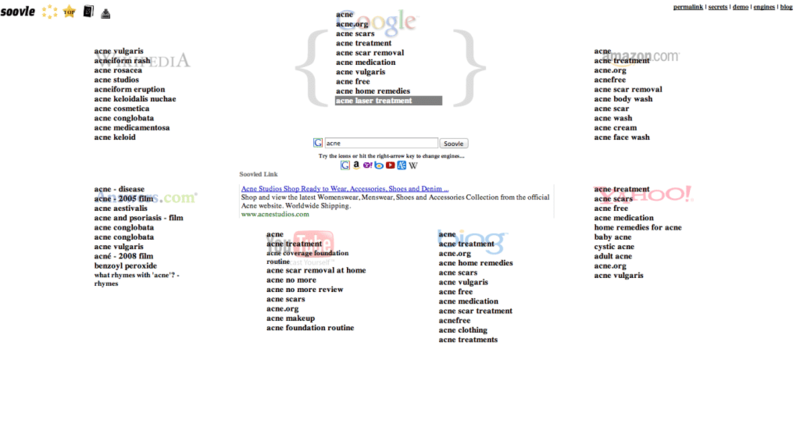 This is probably the most in depth keyword research I’ve seen. I just had some light bulbs. Great post. Do you still not look at the Average KC (from LTP Platinum)? Yes 🙂 I still consider it. Also you say that your 1st niche site was a failure, was this the acne keywords you were going for? Would be great to see a post on it so that we can all learn from these things. I too failed on my first attempt! Anyway, just wanted to say AWESOME work all together and I’ve subscribed to your mailing list and hope to ping off ideas from one another. Really great post and I also found your site through Spencer Haws. “Justin and Joe”, pls tell me where can i find their website? thank you ! Great post, super thorough. I don’t know if your familiar with Market Samurai, but I was using that to do some kw research. Under the column of SEOTraffic one term I was searching for said 40. Then I went over to google and typed it in to their kw tool and it says it gets 260 global monthly searches. Do you think they use a different search engine to get their results? Just looking for your thoughts and what not. Great in-depth article discussing keyword research. Selecting keywords or key phrases is an important element of SEO. We like to relate keywords to women’s clothing. What’s hot one month may be out of style the next. Search trends change on a continual basis and is the reason one should monitor their search engine analysis reports on a regular basis. Doing this and following your guidelines in this article will lead to a successful online marketing campaign. Thanks for sharing. Cám ơn anh Tùng nhiều nhé. Lặn lội ra web nước ngoài tìm hiểu thì lại gặp ngay pro VN. Em bất đầu làm site ngay hôm nay theo hướng dẫn của anh. I have question regarding keywords and keywords being in plural ie ending with an ‘s’. For example if your keyword is ‘adjustable dumbbells’ is ‘adjustable dumbbell’ also part of this keyword? Do you look at advertiser competition when you choose your keyword? Well detailed article I just finished reading while at work. Very precise post to get cleared all the question about keyword research. thanks for bringing up the Long Tail pro. I would say this site gives more practical information with the solutions than any other site around. Even sites like pro Blogger,Copy Blogger or even Quick Sprout does not break down to this detail, that anyone can start from scratch. I think this blog will over take the big boys and make a lot of online hustlers from Asia very soon. Also you are making a lot of competitors for yourself by giving your hands on lessons on what worked and what doesn’t. I just noticed something on this blog, will PM you via contact section. Great article but a few questions if you don’t mind. How do you know when you’ve found the right niche. For instance i have found one with over 10 keywords with low pr and links with over 1500 monthly searches each then have buying power. However i think its something you would buy more in person is there anyway to see if they do buy via amazon etc…..
Also how do you take the jump to setting it up? Also does it need unique hosting or could i put it on my other hosting. to annotate your pic or images and if it is free. im a newbie and i love ur post. i have learnt a lot from u, thanks for ur recomendation. now i can do more research and learn more ab this opportunity. however i wanna ask that how can a website got PR 1 can get on top of other website that got PR 3-4.
hi tung you said there were 4 examples but there were only three screenshots..
Great post Tung, nicely laid out, easy to follow and very thorough! Look forward to next post. Hi Tung Tran, I am really interested in your post and very clear about keywords research that make me confused along time. Now, I use both long tail keyword and market samurai. Your post help me much in find potential keywords for my niche site. Hope make friends with you. About treating acne, amazon product is around $15 or over, so the price is so low, u get 4-5%x15=$0.6~$0.75. This revenue * key search permonth can cover your cost? Hope receive your feedback soon. hey tung thanks for this amazing post 🙂 i learned lot of thing from your blog .thank you for everything. Nice article, but too many outdated SEO practices. Google is smart and can work out what some sites are trying to do. EMDs are now old hat as is keyword stuffing in titles, descriptions etc. You don’t discuss inbound links in any detail, which is one of the main problems with rankings in Google. I’d state that selecting a lucrative keyword is only a small portion of success. You also need to be providing really good information to people without using too many obvious SEO techniques. Inbound links will need to be coming from high PR websites (no matter what others think, this really is the key). Newbies also note that Pat Flynn’s success is off the back off some great high PR websites linking to his successful sites. Security Guard Training has a vast amount of links to it, many from articles like this, so it’s no wonder it brings in lots of $$$ for Pat. Don’t be fooled into thinking that selecting the right keyword was all he had to do. This has been a very helpful tutorial. You are great at breaking everything down and making it very easy to understand. I have read alot of guides, articles, blogs etc. and I finally feel like I really understand and can start building the blog. I have been sitting on keywords because I wasn’t sure. 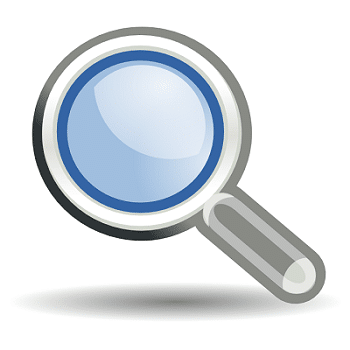 Tung, this one of the most comprehensive keyword research guides I have come across so far. Haven’t tried LTP yet, but will definitely give it a try. ”[…] I’ve seen pages which rank higher despite not using a keyword in the title. In one instance such a page was from ebay and has a higher DA and PA. So my question is, for sites which are not using the the keyword in title and/or url and/or meta description but content, how much of a factor is its high/low DA and/or PA? WRONG, THE LATEST GSA COURSE SUGGEST US TO USE RANDOM ANCHOR – MIX OF your KEYWORD + BRAND + URL! And this is suggested by real GSA PRO Expert. Even on BBHF they have it. So for 2014 this is NOT A VALID POINT! KEEP IN MIND! Thank you, Tung Tran. Your article is useful and detail. I don’t see you mentioned Page Authority. Which PA criteria for you in top 10? For me if I see 2+ pages with PA > 50 I will ignore keyword instantly. Hi Tung mentions PR not PA. You can use SEO Quake to get PR or LTP to get PR. I’ve read it several times and bookmarked it. It summarized all the good and best stuff I learned from many many posts I’ve read on the subject. I especially like your explanation about the level of need for a solution and why very low searches per month keywords can be more profitable than some with higher volume. I found a keyword that had 6 no pr’s, but the sites all had lots of links to them. Would that be advisable? I usually target product review keywords and it gets me results. 1) They have niche sites and low PR sites ranking with unoptimized keywords (VERY EASY) or optimized keywords (somewhat easy). 2) The front page is full of authority sites, but none of them have optimized for the keyword, which means you could rank above the authority sites with more optimized content. Hmmm, I think I have read this article already on some other website… but instead of “cure diabetes” they used “cure heart attack” and instead of “funny dog pictures” they used “funny cat pictures” (I think). Weird, right? I did not check the whole article, but the beginning already looks very much alike. Yeah it’s very similar. Thanks for letting me know Nadya! (1) LongtailPro is good but are they provided custom formula field that i can create a formula based on your factors above and rank them by competition score? (2) I still think to hit each keyword to examine competitions are time consuming. I am thinking to create a tool to solve the 2 problems above and literally let me run thousands of keywords for competition analysis and show me the top ones based on your factors. I think it is a big time saver. Now everyone thinks they are doing proper keyword research before they write an article, I too think like that, after reading this article I came to know some points which I am missing in my keyword research. First I learned about buyer intent keywords, second thing I learned why we should not look only search volume. Thanks for sharing your knowledge about keyword research, see you soon with another article. I’m a regular reader of your blog. Thanks for such helpful posts. I have a query for which I’m not getting satisfactory answer from anywhere. Could you please help me answer my confusion. can you list all the sites which can easily beaten with few links like amazon, wiki, ebay, ezine… and others ?? Hi Tung, just loved the guide! But I don’t have long tail pro. Isn’t there any free alternative of the tool? Your guide is very informative and I learn a lot from it. Thanks for your post, I could search a “buyer keyword” with the competitiveness with just only 22 beased on Long Tail Pro. Besides, the special thing is that the local search is very high: 12000 per montch. It’s so fantastic! A niche site lives or dies on the keyword you choose. You need to update this guide, too many out of date techniques. This is 2016, this guide was written in 2013. Don’t you think you need to update this article, or are they(ALL THE POINTS) still relevant, despite all the changes made by google in rnking sites and so on? Most of the information is still legit. I’ll update it soon. This is kind of premium tips revealed. Indepth post choosing right keyword with competitor analysis. Keyword research is very important for any business if choose it correctly we can win the game. BTW Great post ahead. keep sharing juicy tips.